I'm kind of a lip balm/lip treatment junkie. At any given moment, I have at least 8 of them open -- in my bag, on my desk, on my nightstand, in my jacket pocket, basically everywhere I might possible be. Because there's nothing I hate more than dry, cracked lips. I have my favorites -- the EOS Lip Balms (particularly those in Sweet Mint and Lemon Drop) and the Jack Black Intense Lip Balm (in Natural Mint) -- but there are plenty that get the job done when my lips need a little extra moisture and TLC. 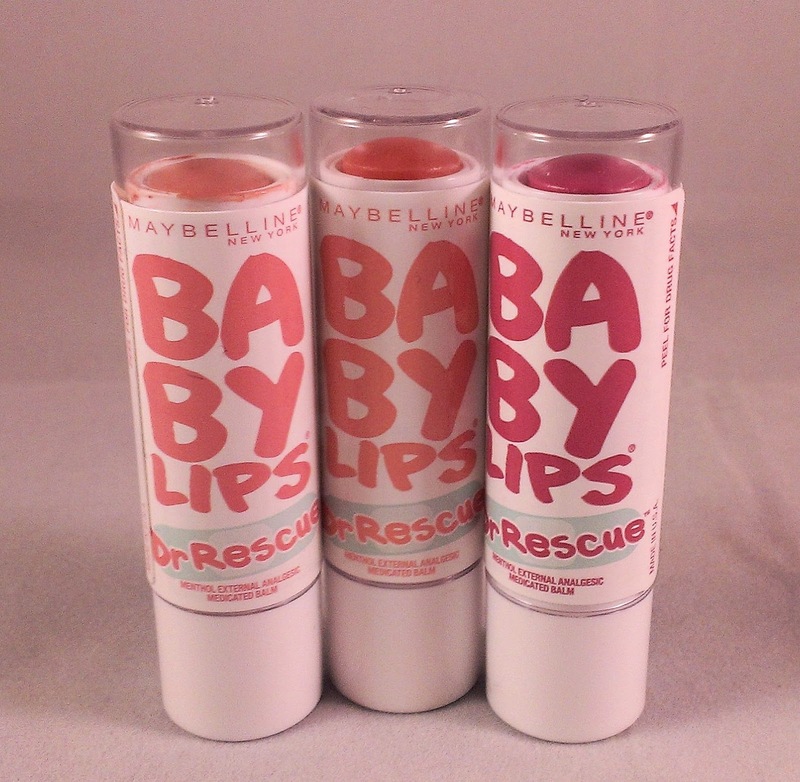 When they first came out, I tried the Maybelline Baby Lips and liked them just fine. They're not the most hydrating lip balm in the world -- I think that's because the formula is fairly thin -- but I love the tinted shades that add a little color and shine to the lips while still smoothing them enough. In particular, I love Peach Kiss -- it's a nice light peachy shade that's perfect for when I'm just running errands or walking the dog or going for a no-makeup makeup look. So when the Baby Lips Dr. Rescue Lip Balms came out about a year ago (? ), I knew I wanted to give them a try. If you're sick of hearing me rave about e.l.f. products, I warn you -- I'm going to rave again. I apologize, but I get really excited when I find great products that are affordable for pretty much everyone -- I mean, who doesn't want to get the most bang for their buck as humanly possible? And it seems like lately, almost all of the e.l.f. products that I try are serious hits. 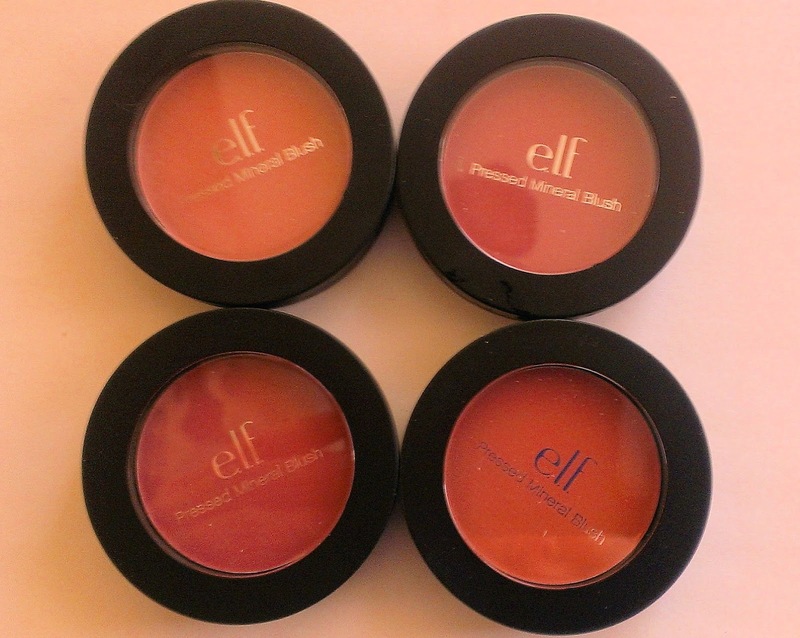 I recently mentioned the Pressed Mineral Blushes, which are impressive products, but right after I bought those, e.l.f. came out with another cheek product, the Studio Blush Palettes. When the BB cream craze started a few years back, I totally jumped all over that bandwagon. I tried a bunch of them, and in general, I found the offerings from U.S. companies to be pretty disappointing. They didn't seem like anything but glorified tinted moisturizers. When CC creams became the next big thing, I decided to sit the trend out because I figured it would be just like the BB cream thing. I made an exception for IT Cosmetics' Your Skin But Better CC Cream with SPF 50 -- mainly because IT Cosmetics always impresses me and I figured it was worth taking a chance on. I've had this product for nearly a year now and I can safely say it's pretty darn fabulous. It's a pretty rare thing when I look at a makeup brand and can honestly say that I've never been disappointed by a product that I've tried from the line. Seriously, I can count on one hand (with a couple of fingers to spare) the brands that I genuinely feel that way about. Kat Von D has definitely become one of those brands. Now, admittedly, I haven't tried as many items from the line as I have with companies like bareMinerals, MAC, or Tarte, but literally, every single product that I have tried has been a home run -- and I give Kat Von D a ton of credit, but I was pretty convinced when the line first came out that it was going to be one of those gimmicky ranges that didn't last for more than a few years. Instead, the brand just seems to get better and better. 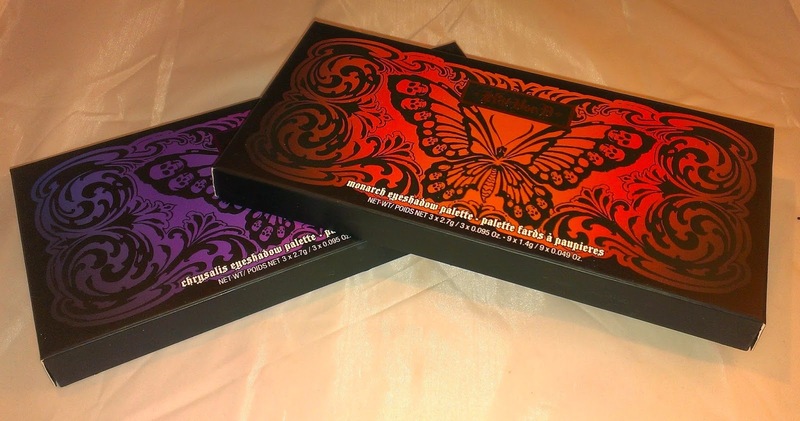 Case in point: the new Monarch and Chrysalis Eyeshadow Palettes. 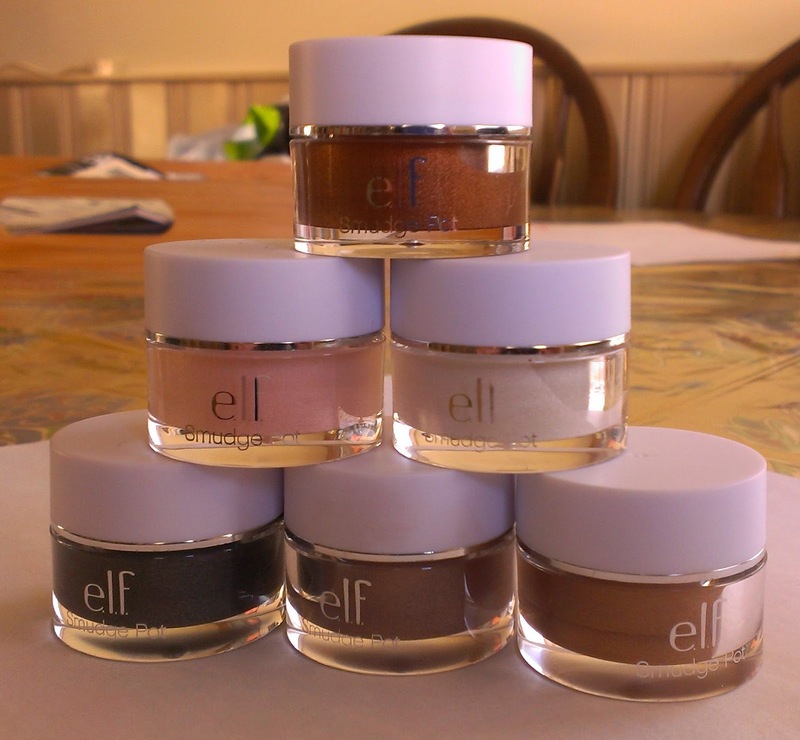 I've always been a fan of e.l.f's products, but the line is definitely hit and miss. I'm always willing to try out new products from the brand, though, because they're so affordable that there's very little risk involved. But lately, everything I try from e.l.f. is a serious home run -- I've reviewed the Pressed Mineral Blushes and Prism Eyeshadow Palettes recently, both of which I absolutely love. However, I think my favorite new product that I've tried from e.l.f. in recent months are the Smudge Pots. I've been a big fan of bareMineral's Ready line of pressed products ever since it was introduced a few years back. My favorite group of items in the line, though, is definitely the Ready eyeshadows, and the formula has actually become one of my all-time favorites when it comes to shadows. That means whenever a new palette or quad or duo comes out, especially limited edition shades, I always have to pick them up... like a sucker. Well, not really. Because I've never been disappointed yet. My most recent purchases were the Ready Eyeshadow 8.0 in The Affair To Remember and the Ready Eyeshadow 4.0 in The Glass Beach. 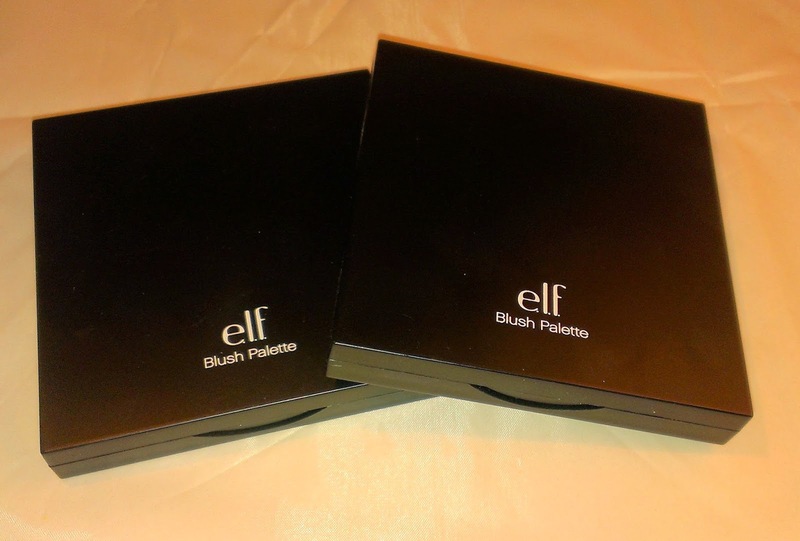 A couple of weeks back when I reviewed the elf Prism Eyeshadow Palettes, I mentioned that I've been having really good luck with elf purchases lately. 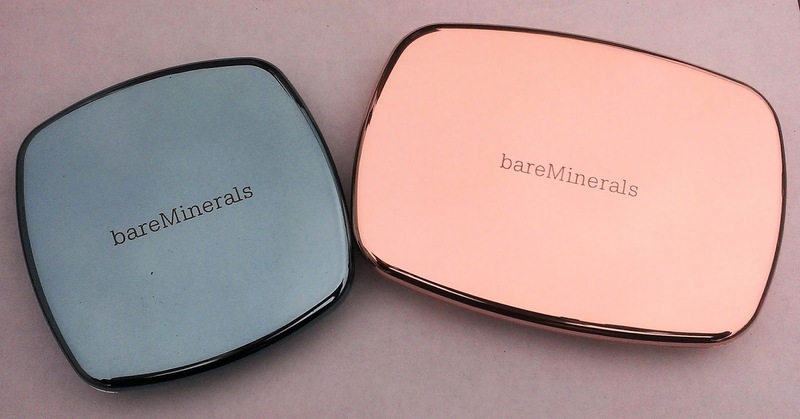 Here's another product that definitely lands in the Win category -- the Pressed Mineral Blushes. I own quite a few of elf's Studio Blushes and have always been pretty happy with them, but the Pressed Mineral Blushes may be even more impressive. 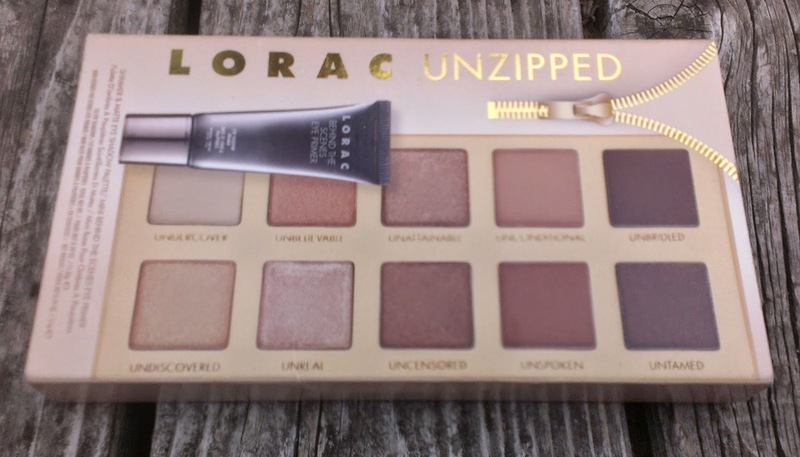 I actually received the LORAC Unzipped Eye Shadow Palette as a Christmas gift, along with the Urban Decay Naked 3 and Too Faced Chocolate Bar Palette, and, as with the other two, fell instantly in love. So I was pretty excited to share what a great product I thought it was. I sat down and wrote an entire review, but when I went to post it, it had disappeared from my computer. I don't know if I forgot to save it, accidentally put it the trash, or my computer just ate it. Whatever happened, it was gone. I'm such a baby about that kind of stuff that I just couldn't bring myself to sit down and rewrite the entire thing... for like three months. When it comes to trying new products, I always get the most excited over foundation. That's because even if you find a fabulous eye shadow, lipstick, blush, etc. that performs amazingly well, it isn't really going to look substantially different on the skin than other good shadows, lipsticks, blushes, etc. With foundation, though, the right formula can dramatically change the way your skin looks, and while I don't have a ton of issues that I'm trying to hide on my face, I always like to look as flawless as I can get. 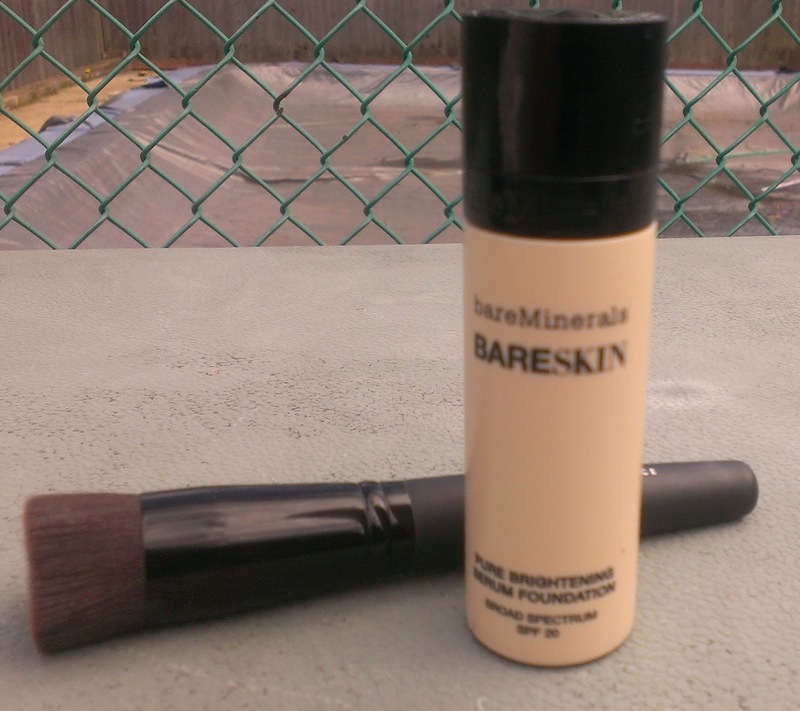 That's why I was super excited to try the new bareMinerals Bare Skin Pure Brightening Serum Foundation. It is noteworthy because it's the brand's first ever liquid foundation after years of putting loose mineral powder foundation the map.